The web browsers Google Chrome and Mozilla Firefox will soon support the open video codec AV1. Google and Mozilla released support for the new codec in development versions of the browsers and plan to push the new functionality to the release channels in the near future. 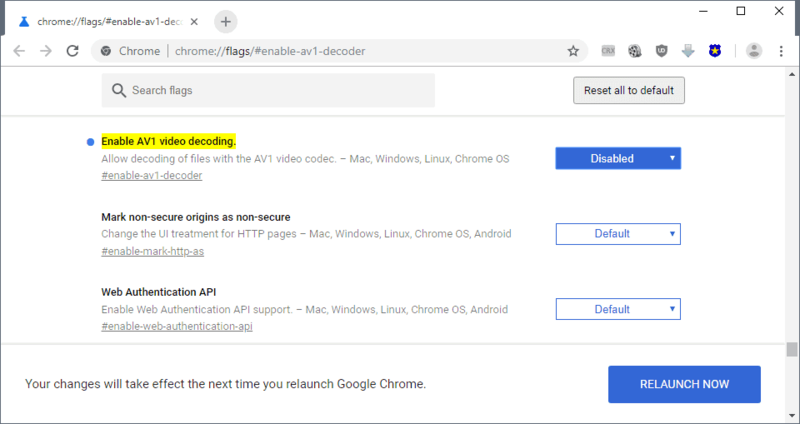 Google launched support for AV1 video decoding in Chrome 69. Chrome 69 is a beta release currently that interested users may download and run to test upcoming functionality. Chrome Beta is not the cutting edge version of Chrome; users who run Canary or Developer channel builds of Chrome have access to the new video encoder as well. Support for the Av1 video decoded is not enabled by default in Chrome 69 at the time of writing. Google hides experimental features behind flags sometimes; users who want to give them a try need to change the status of the flag to enable or change functionality in the browser. AV1 promises better compression rates than H.264 but encoding is significantly slower currently. The free codec has to compete with non-open codecs such as H.264 and H.265. Tip: You can verify the version of Chrome that you run by loading chrome://settings/help in the browser's address bar. Load chrome://flags/#enable-av1-decoder in the browser's address bar. The page that opens lists all experimental flags currently available in the browser version. Change the status of Enable AV1 video decoding to enabled. Google plans to launch AV1 support for all desktop versions of Chrome (Windows, Mac OS X, Linux, and Chrome OS) and the implementation is based on the official bitstream specification. The company notes on its Developers site that support is limited right now as it does not include encoding capabilities at this point in time. t this time, support is limited to "Main" profile 0 and does not include encoding capabilities. The supported container is ISO-BMFF (MP4). Mozilla added support for Av1 in Firefox 63. The version of Firefox is currently available as a Nightly release, the cutting edge channel that Mozilla maintains. Load about:config?filter=media.av1.enabled in the browser's address bar. Confirm that you are careful if the warning is displayed. A value of true means that AV1 support is enabled, a value of false that it is disabled. The feature may land in Firefox 63 or later versions depending on how development progresses. You can keep track of the bug here. The web browsers Google Chrome and Mozilla Firefox will soon support the open video codec AV1 for video decoding. I have media.av1.enabled : true (default) here on Firefox 61.0.1 (x64), likely inoperative given AV1 Codec support is announced for Firefox 63. No idea why it’s already set. The question should be, why it wasn’t enabled in Nightly? I vaguely remember back in November 2017 there was some issue with that setting. But AV1 Codec should work on your FF 61.0.1 (x64) already. Firefox 63 is the first version of Firefox with the implementation of the final AV1 codec (and will not be enabled before Firefox 64 because of not finished sandboxing work). The implementation in Firefox 61 is outdated. @Sören Hentzschel, but then why is the setting media.av1.enabled (‘true’ moreover) present in Firefox 61.0.1 (not even nightly!)? Moreover Manouch states above that the setting is not enabled in FF Nightly (when it is here on Firefox stable). I don’t understand settings made available when not yet operational. The emphasis is the word “final”. Toggling false/true in a Nightly is a piece of 🍰 and I thought you like cake. There are AV1 videos for test at https://tools.woolyss.com/html5-audio-video-tester/ for few months. AV1 is a new Codec? I thought it was an extremely old one. Also, I don’t think soon enough anything will surpass the H265. AV1 is relatively new, from around 2015. It is the successor VP9 and intended to compete with H.265. Whether or not it will become more popular than H.265 is an open question, but even if it doesn’t, it’s still a great thing that AV1 exists, as it makes streaming video more accessible to more people. Nice, but not convinced that it would be better than H265. H264 was slightly better and with better efficiency, too. I guess same will happen again. But if AV1 requires to be embeded in GPUs like H265 and as of recently VP9, then I won’t bother at all. It doesn’t have to be better. It just has to be as good, or even nearly as good. The advantage of AV1 over H.265 is that H.265 is legally encumbered and AV1 is not. This is a huge deal for a lot of people. AV1 is the new codec made by https://aomedia.org/ to be a open source and free alternative to H265. You’re probably thinking of AVI, the container format in Windows for many years, back in the day of the DivX codec. The new codec is a codec, not a container format, and it’s AV1, not AVI (1, not i). x265 is the encoder, h265 is the technology. the license to use is not free, av1 is free. H265 is owned by MPAA and the big movie studios. 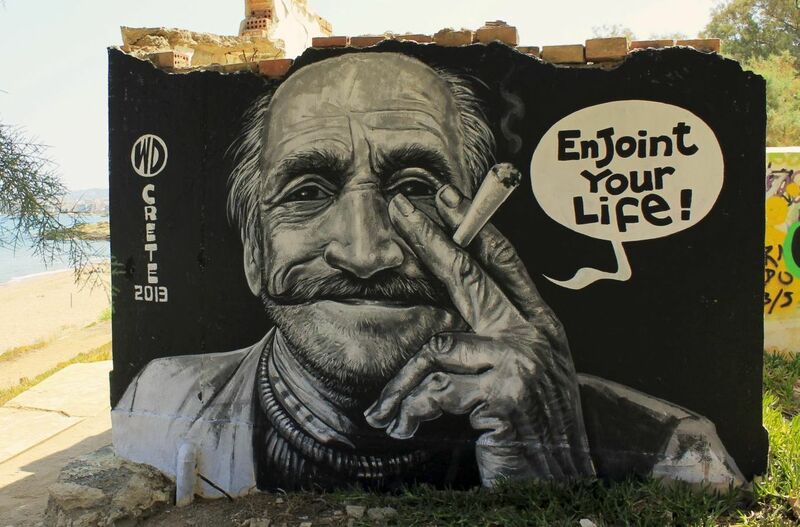 You can’t use it commercially for free. You need to pay them. AV1 is open source, it’s libre, it’s free. Google is biggest member of aomedia, the other members are Amazon, Netflix, Cisco, Intel and Mozilla. Google wants to stop paying the big studios money for youtube (youtube won’t support H265 at all and in next years they will drop H264 completely). Netflix wants to stop paying them for the video codecs etc. AV1 will help individuals a lot, they can now release commercial videos by using a modern codec without having to pay for patents. Youtube now beta testing AV1.